"I need a job quickly. What do I do?" "I need a job. What am I not doing correctly?" "I should have numerous job offers by now. What am I missing?" "Got any tips on how to find a job faster? I'm all out of ideas." Looking for a job can be a stressful time in your life, but with proper planning, you can prepare yourself to land a job as quickly as possible. It doesn't really matter what field you're in, there are universal traits you can develop to make you look attractive to your future employer. You'll also benefit from making the whole process easier on yourself. Of course, you want to find a job as quickly as possible, but you also want to avoid stressing yourself out or feeling forced into making rash decisions just because you're desperate to land a job. If at all possible, hold out for a job that you'll enjoy for a long time to come. Rather than searching for a random job, first do some heavy thinking about your talents and goals. What type of job do you feel you would enjoy and excel at? You can even take a career assessment online to get some quick suggestions. These tests usually take your personality and temperament into account before matching you with potential careers. Make connections with people in your desired field. Create your profile online at social networking websites like LinkedIn and Facebook. The Internet is a powerful asset, and you can develop your online identity to help you become attractive to employers. What's your plan for networking? It's easy to give up hope, especially if you've already been out job hunting for a while. However, it's those people who are dedicated & persevere through tough times that succeed. Keep looking and developing your skills, because it'll pay off in the long run, even if you aren't seeing immediate results for your efforts. How well do you persevere? Ensure you're knowledgeable about the job you're interviewing for, and go in with the right attitude. Maintain a calm and relaxed demeanor and dress well for the occasion. You'll really stand out to your prospective employer if you take charge and share your ideas in addition to answering their questions. Put some thought into offering a unique perspective that can help the company gain greater profits. This will illustrate that you can think creatively and show that you've done your research into the company where you're interviewing. Write a killer, targeted resume. Update your resume to highlight experience that can help you with the specific job for which you're applying. Your goal with any resume should be to keep it as short as possible but still fill it with the information your interviewer needs. Need help, click here. Your chance to really shine is your interview, but your resume should show that you have the skills to back it up. 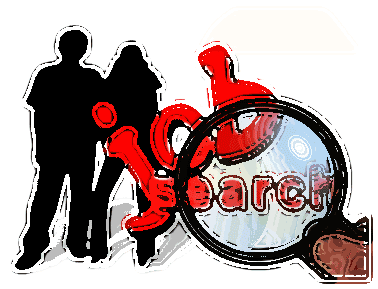 It'll also help to include keywords in your resume that pertain to your future job's description. How awesome is your resume? Continue to develop and strengthen the skills you have and add new ones as well. You never know when they'll come in handy. An employer loves a well-rounded employee. For instance, if you're interviewing for a sales job, your employer may like the fact that you also have skills in marketing and advertising. What skills do you want to (or need to) learn? Remember, relax and be yourself! If you're fully prepared and patient, you'll eventually find the job that's perfect for you. Get a job and solve your problem, click here. Learn how to boost your confidence at work. Remember, you're as capable you believe you are. You have what it takes to do anything you set your mind to.